This is my first experience wearing a shoe of this style as I have only ever worn a harder based pomp, therefore I was slightly worried that I would not be able to be as high on my toes. However, I had no need for concern as I was just as high as normal. It is an extremely comfortable shoe which I was able to wear on stage straight away with no need to break in.They are a pleasure to dance in as padding provides great comfort. I would suggest wearing a size smaller than normal as the very soft leather stretches easily. Overall I enjoy performing in this shoe! Thank you again. The Aoife pomp is extremely comfortable. No need to break them in as I was able to wear them immediately in my performances. 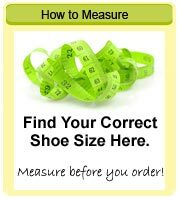 Although the leather is very soft and stretches easily I would advise you to buy a size smaller. I found it was a very neat fit and no excess material gathering around the toes so I was able to be more precise with my movements. It is without hesitation, that I whole heartedly recommend the newly created Aoife Pomp! Having been a huge fan of the ‘Inishfree’ range of pomps throughout my dancing career, I am delighted with their new creation 'The Aoife Pomp'. With it's precise neat fit, built in 'Poron' cushion for added shock absorption, and perfectly crafted short round toe, it gives superb support, comfort and foot enhancement whilst performing! An excellent choice for all budding dancers. Thank you so much for your wonderful hard shoes. To tell you the truth, I was not looking forward to breaking in new shoes, but was pleasantly surprised to find how comfortable they were - the first time I put them on it felt like I had already broken them in. In fact after teaching class that night I went to perform in a show and wore them! When I toured with Riverdance it would take quite a while to break in new shoes. It was thought that if you find a comfortable pair of shoes it meant its life span would not be as long - but I can tell you that they are holding up great. Congrats on making a shoe that is both comfortable and durable. James Greenan - Professional dancer with Dance Masters in Germany and Switzerland. He has also toured with GaelForce in China and in two of the Damhsa performances on Glas Vegas series 3 2009. "INISHFREE POMPS are ideal for dancers of all levels. 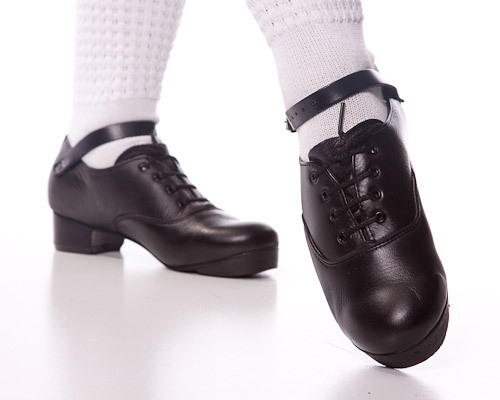 The AOIFE pomp in particular fits snugly on the foot and has cushioned protection - necessary for young dancers! I highly recommend them for all dancers from Beginners to Open level!